Despite digital transformation being high priority among government agencies, they’re having trouble scaling and that leads to a significant lag in progress. Despite digital transformation being high priority among government agencies, they’re having trouble scaling and that leads to a significant lag in progress, compared to other industries. 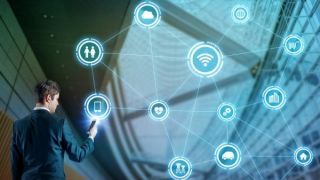 This is according to a new report by Gartner, which says while one half looks to digital government to support a combination of transformation and optimisation goals, the other half is focusing on a single ambition, be it optimisation or transformation. The report itself is based on a poll of 372 digital decision makers in six countries (US, Canada, UK, Australia, India and Singapore) and across six industries (financial services, government, manufacturing, retail, healthcare and education). It included 60 government respondents. The survey also touches on the topic of employees and their digital dexterity. Almost half (48 per cent) of government respondents rated this critical to their success. Still, more than half (58 per cent) said they don’t have a formal program to make sure their workers are skilled and properly educated.